We now do underwater leak detection in both domestic and commercial pools (schools pools, gym pools, etc.) as well as underground reservoirs, water tanks, etc. 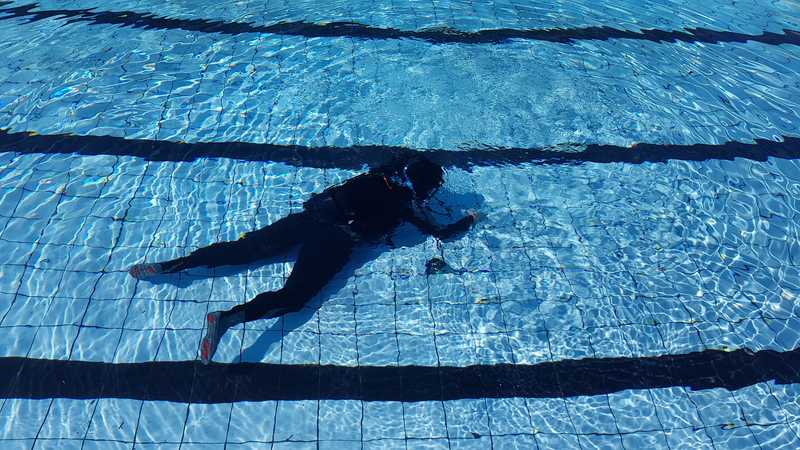 We make use of scuba diving equipment as well as acoustic equipment which helps us to hone in on the leaks. We also do underwater repairs of marblite cracks or holes in marblite found to be leaking. Underwater repairs mean that the pool's water does not need to be drained and so our clients are able to save both water and the cost of re-filling their pool. We use Cemcrete's underwater pool patching which can be colour matched to the colour of the marblite in the pool being repaired.